Don Oleson visited us this May just like he or Loren Strohman has been doing every spring for the last fifteen years. This time he brought a suitcase full of books for the library at Narnia Elementary School. No one asked him to do that but you never know what Don’s packing in his suitcase heavy as an anvil. This time he came to us from Levice, where he met with Ján Henžel, the president of our denomination. He’d also been in Nitra already. Don and Luaine spent two years in Nitra themselves in order to help plant the church there. They were supported by First Free and so were the two Slovak church planters and so were Jana and I when we were in Nitra from 2001-2005. I don’t think that congregation would exist without the help of First Free. It’s fitting that Don brought books for the Narnia library. He’s always bringing books. Usually, though, he’s got books for the seminary. Don has brought or sent hundreds of books to add to our seminary collection and they’re housed in the library that First Free helped the seminary to purchase. And of course they still support us while I teach here at the seminary and they provided the scholarship that got me through the PhD program at TEDS. From here Don will head out east, then back west, then north, then south, zig-zagging all over the country to visit most every church and ministry in the CB and then some. Everybody looks forward to seeing Don as he goes above and beyond in his role as church champion for First Evangelical Free Church in order to keep in touch with all the ministries they support or have supported over the years. First of all there are the missionaries. I already mentioned a few but there are others like Peter Hrubo who runs a training ministry for youth leaders all over the country or Pierre and Lisa vanVuuren. Pierre and Lisa work with Roma in eastern Slovakia and Pierre heads the team that’s translating the Bible into the Roma language. 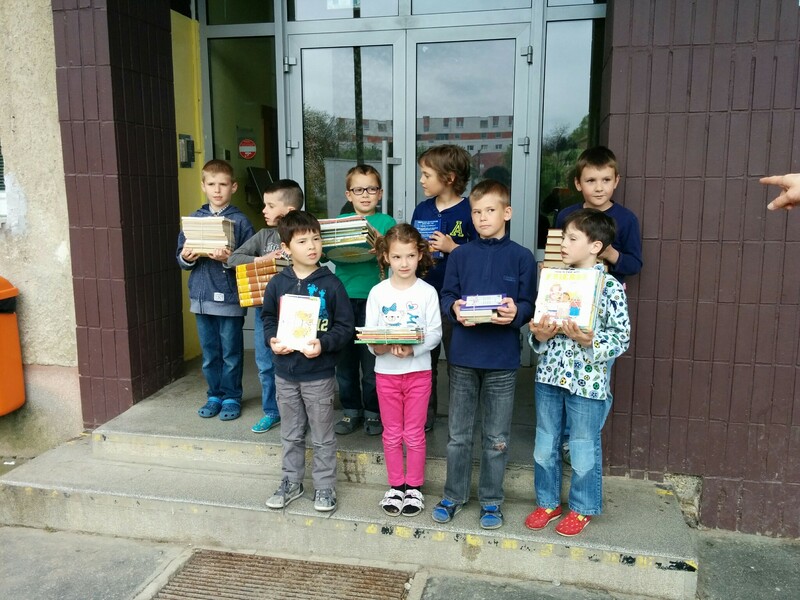 And then there’s the outreach ministries like Opal Camp, also in eastern Slovakia. First Free sent team after team to help build that camp. They hosted trips for camp counselors to visit camping ministries in the States and spearheaded a partnership with Timber-Lee campground in Wisconsin. Camp Opal has become a great camping facility that serves hundreds of people every year including the Roma population of eastern Slovakia. As a result, the congregation that started that camping ministry has grown, especially among the unreached Roma community. Another outreach ministry would be Kontakt Cafe which has become a meeting place for young people in Levice, in western Slovakia. First Free sent teams to help renovate that building. One of my students here at the seminary had no contact with Christianity until he started hanging out at Kontakt Cafe. This year Roman finished his MDiv at the seminary where I teach and soon he’s off to Africa for a one year stint. The ripples just keep spreading. You never know where innocent beginnings will lead. Twenty years ago seven people from from First Free set out for Slovakia to help out at an English camp. 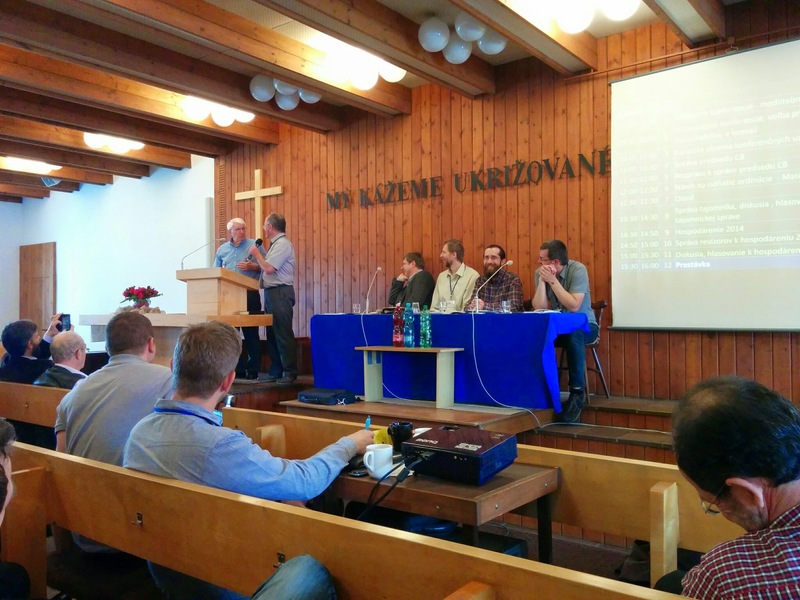 Since then more than 80 people from that congregation have been to Slovakia. Many of them have hearts for Slovakia to this day (one, Lisa vanVuuren, is still here serving as a missionary in eastern Slovakia). It’s staggering to think about the number of lives they have touched from those English camps to their investment in the camp or the seminary or youth leader training. Their investment will never stop returning dividends. It was a great moment for me to be able to serve our Slovak congregation as a delegate at the recent General Assembly for the Cirkev Bratská and cast my vote to accept First Evangelical Free Church as an honorary congregation in the Cirkev Bratská in Slovakia. The official fifteen year agreement ends at the end of this year but I’m sure our cooperation with First Free in Rock River City will continue. What a great example of how a long term relationship can bear fruit that multiplies way beyond the life of a human contract.